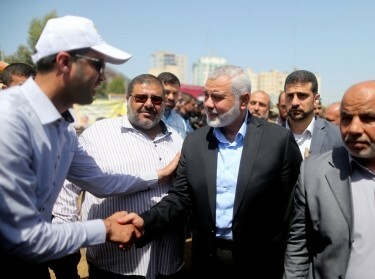 The once-feuding Palestinian factions Hamas and Fatah may be moving closer to reconciliation in Gaza, but Salafi jihadist groups launching audacious attacks could spoil any rapprochement, potentially dragging the Palestinians back into another conflict in the process. In August, a suicide bomber detonated his explosive vest in the Gaza Strip near the border with Egypt, killing a member of Hamas' security team and wounding several others. Far from being an isolated incident, this attack represents the emergence of yet another violent militant faction in Gaza—a densely populated strip of land wedged between Israel and Egypt's Sinai Peninsula, which crams 1.8 million people into an area slightly more than twice the size of Washington, D.C. This major shift toward an even more radical and violent milieu is mainly due to a growing Salafi movement in Gaza, a new phenomenon that threatens the temporary equilibrium of what is usually a turbulent area within the Middle East. The suicide attacker is widely suspected of being a member of a Palestinian Salafi group with links to the Islamic State (or ISIS). The rise of hardline Salafism—a branch of Islam that embraces a literalist interpretation of the Koran and advocates the restoration of a so-called global caliphate—is a worrisome trend in Gaza. 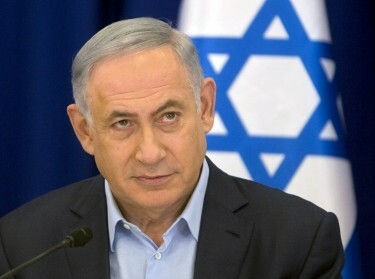 Hamas, whose ideology is a blend of Palestinian nationalism and hardline Islamist politics, is being outflanked by more violent, extremist terrorist organizations determined to destroy Israel and wage war on Palestinian groups it has deemed too moderate. Salafism historically took root in Gaza in the 1970s, when Palestinian students returned from studying abroad at religious schools in Saudi Arabia. A number of Salafi groups in Gaza continue to receive support and funding from Riyadh today, according to journalist Jared Maslin. The four principal active groups are Jund Ansar Allah (Soldiers of God's Supporters), Jaysh Al-Islam (Army of Islam), Jaysh Al-Umma (Army of the Nation), and al-Tawhid wal-Jihad (Monotheism and Jihad). Although these groups have not traditionally been a major force in Palestinian politics, this has changed in the past several years. Salafists first gained traction in the power vacuum that resulted from the internal conflict between Hamas and Fatah in the summer of 2007. In 2009, Salafi leader Abdel-Latif Musa, leader of Jund Ansar Allah, even proclaimed an “Islamic Emirate” in the southern city of Rafah before he was killed in a raid by Hamas. ISIS' declaration of a caliphate helped rejuvenate Salafi ideology. The success of the Islamic State (ISIS), itself a hardline Salafi group, further strengthened Gaza's Salafists. Media statements released by Gaza-based Salafi groups, for example, have included songs and imagery originally produced by ISIS' propaganda wing. More broadly, ISIS' declaration of caliphate, an official announcement of the group's intention to govern a state ruled by strict Islamic law, helped rejuvenate Salafi ideology. The organization's global appeal was and is evident in its ability to recruit tens of thousands of foreign fighters and cultivate tens of thousands of supporters online who promote its propaganda and spread its message. It doesn't matter that the caliphate has been destroyed over the past six months and ISIS is in shambles. The group's temporary success was proof to its supporters that forming a caliphate governed according to strict Islamic principles is not only possible, but a divine duty. Gaza's Salafi have also criticized Hamas for agreeing to a cease-fire with Israel on several occasions, the most recent of which was in mid-2015, claiming that the once-feared Palestinian terrorist group known for its use of suicide bombings is now guilty of collaborating with the Zionist enemy. 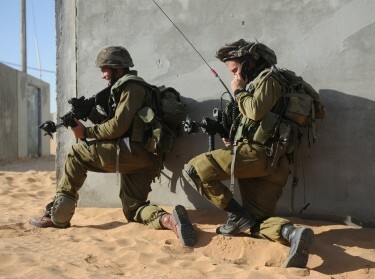 A group known as the Soldiers of the Monotheism Brigades referred to Hamas as “perverted” and “crooked” and added that it “will not stop targeting the figures” of Hamas and “breaking their bones and cleansing the pure land of the Gaza Strip of these abominations.” To sabotage the cease-fire, ISIS supporters in Gaza have sporadically fired rockets over the border into Israel in a display of insubordination. In response, Hamas has waged a campaign against the Salafists, rounding up scores of them and imprisoning them without trial or due process. The tensions have even escalated into firefights between Hamas and the Salafists, the latter of whom has repeatedly threatened to fire rockets into Israel over the past several years in outright defiance of Hamas. In effect, these Salafi groups are challenging Hamas' claim to being the most truly Islamic group among the various Palestinian organizations. In doing so, they possess the ability to push Hamas toward a more hardline stance. Hamas has already lost some of its more radical members, including many from its military wing, to these groups, which advocate a more militaristic stance toward Israel. Israel is even more worried than Hamas about the rise of Gaza's Salafi jihadists. The Jewish state is used to existing in a region where it is constantly under siege by its neighbors, but the danger posed by transnational jihadists is especially severe. 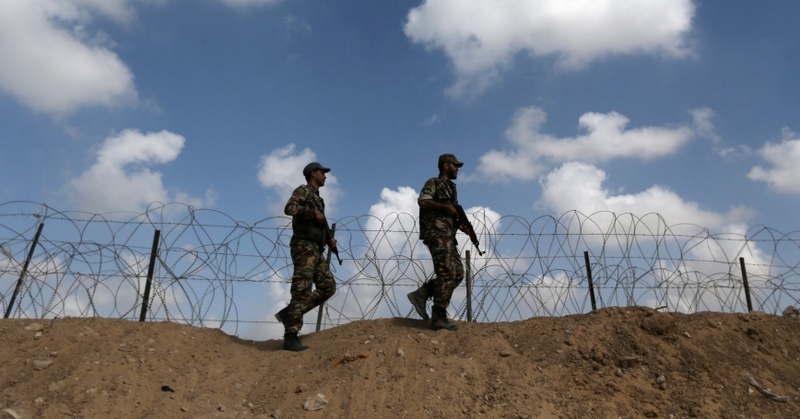 Although Israel has been relatively immune from al Qaeda attacks, the presence of an organized and highly capable ISIS affiliate based in Egypt's Sinai Peninsula, just across the border from Gaza, has presented Tel Aviv with yet another security challenge. These insurgents regularly clash with Egyptian security forces and were responsible for the attack on Metrojet Flight 9268, which was brought down two years ago by an ISIS bomb that killed all 224 people on board. That same month, an ISIS video released in Hebrew warned that “not a single Jew will remain in Jerusalem.” Although some might dismiss this threat as mere bluster, Israel takes these warnings seriously. For its part, Israel does not recognize the difference between attacks launched by Salafists and those conducted by Hamas. Israel regards Hamas—the de facto recognized government of Gaza—as responsible for any and all attacks emanating from Gazan soil. This means that attacks by Salafists could—and indeed have—resulted in Israeli reprisals targeting Hamas infrastructure and property. Punishing Hamas for the misdeeds of the Salafists seems wrongheaded, as it could easily torpedo what has been a relatively calm period during the cease-fire between Israel and Hamas, which has held steady for most part since the end of Operation Protective Edge in late August 2014. Reducing the threat posed by Gaza's Salafists will necessarily entail limiting the potential pool of recruits. The current generation of Gaza's youth has come of age during three successive wars with Israel; unemployment is rampant and hope is in short supply. These young Palestinians have been labeled “the Hamas generation.” But if the economic situation in Gaza continues to deteriorate—resulting in part from an economic blockade enforced by Egypt—the young Palestinians may eventually become known as “the Salafi generation.” Just as Hamas began to eclipse Fatah in the late 1980s as the most radical and violent Palestinian organization, Gaza's Salafists could surpass Hamas as the most dangerous threat to other Palestinians and the state of Israel. Such a result would likely be disastrous, since it could very well signal the sabotage of yet another chance for progress in one of the world's longest-running conflicts. Colin P. Clarke is a political scientist at the nonprofit, nonpartisan RAND Corporation and an associate fellow at the International Centre for Counter Terrorism inThe Hague. This commentary originally appeared on Foreign Affairs on October 11, 2017. Commentary gives RAND researchers a platform to convey insights based on their professional expertise and often on their peer-reviewed research and analysis. Previous Blog PostWhy ACA Enrollees Need Support After They Sign UpNext Blog PostCan Open Science Help to Make Research More Accessible?